Home » Blog » Good News for Lines, Squiggles, Letters, Words! I’m not one of those authors who goes around tooting my own horn. My grandmother taught me the value of modesty and warned me that “what goes up must come down.” At school I observed that “braggy” often equaled “popular,” but I came to realize that general self-confidence tended to play a greater role than the actual achievement. Defensive boasting by less popular kids — essentially, “faking it” — often led to a hard fall. I’ve also come to realize that as a translator I have an important responsibility. I’m the author’s representative in the new language. For that reason alone, I need to cast aside my grandmother’s warning and give a book I translated its due. Originally published in Brazil as O Menino Que Aprendeu a Ver (The Boy Who Learned to See), this ninth edition of Ruth Rocha’s classic picture book features Portuguese artist Madalena Matoso’s bright, whimsical illustrations. These illustrations attracted both my editor, Claudia Bedrick of Enchanted Lion, and me to this story of a boy whose first days of school cause him to see his world in a new way. 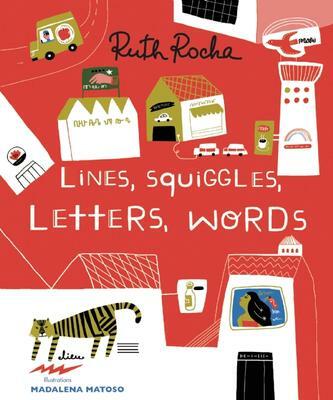 Rocha captures both the wonder and confusion of a child who doesn’t know how to read: What do all those lines and squiggles mean? When he starts to find out, it becomes an adventure, putting together the pieces of a puzzle. And even though knowing may be at the expense of his sense of wonder, it also represents his growing independence and mastery of the world around him. Lines, Squiggles, Letters, Words on sale at Art Basel Miami. Published in November, at a busy and difficult time, Lines, Squiggles, Letters, Words garnered great reviews, including Publishers Weekly, which called it “a smart, thoughtful chronicle of learning in action.” (And, yes, Publishers Weekly named the translator — thank you!!) But the best news came this week. 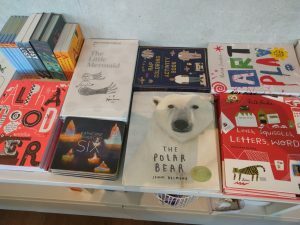 First, the United States Board on Books for Young People (USBBY) named the picture book to its 2017 list of Outstanding International Books. This list recognizes books that were originally published outside the United States, either translated titles or books published in English by publishers in the UK, Canada, Australia, New Zealand, South Africa, India, and other countries with English-language publishers. I found out about this honor from Amanda West Lewis, whose novel The Pact, set in Nazi Germany and published in Canada, was also on the list. 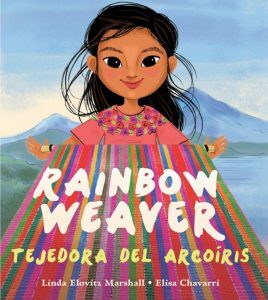 Then my friend Linda Elovitz Marshall sent me the link for the 2017 CCBC Choices of the Cooperative Children’s Book Center at the University of Wisconsin, which contained Lines, Squiggles, Letters, Words along with her bilingual picture book Rainbow Weaver/Tejedora del arcoíris, illustrated by Elisa Chavarri, about a young girl in Guatemala who weaves like her mother, but with recycled plastic bags instead of yarn. 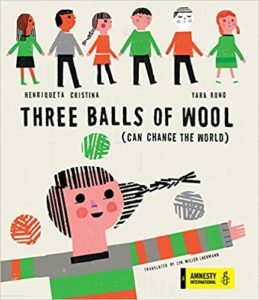 The CCBC also included my debut picture book translation from Portuguese, The World in a Second, which came out in 2015, on their 2016 list. 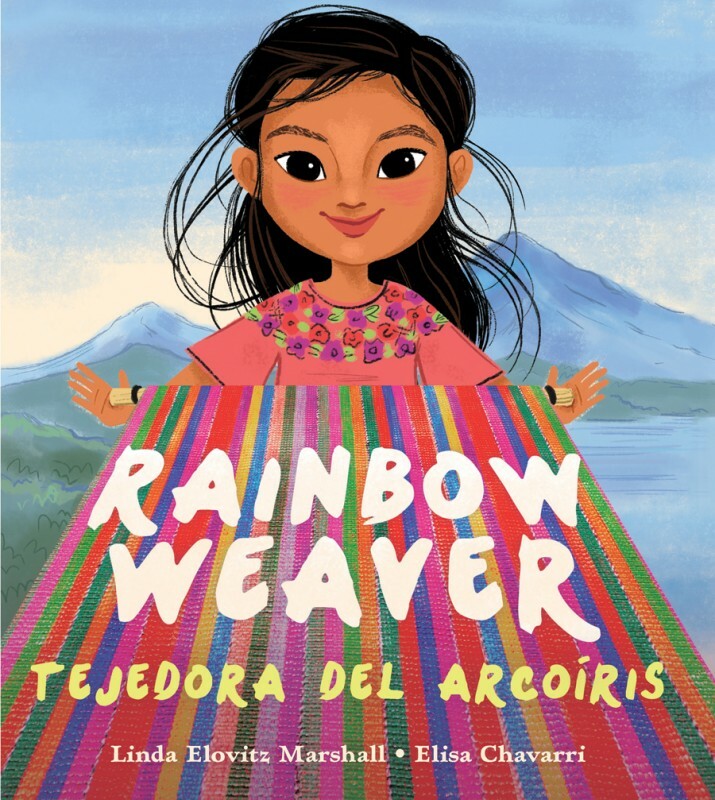 The CCBC has consistently supported international literature in translation as well as stories with international settings and the list is a wonderful resource for teachers, librarians, and parents looking for those books. Now more than ever, we need those international perspectives. 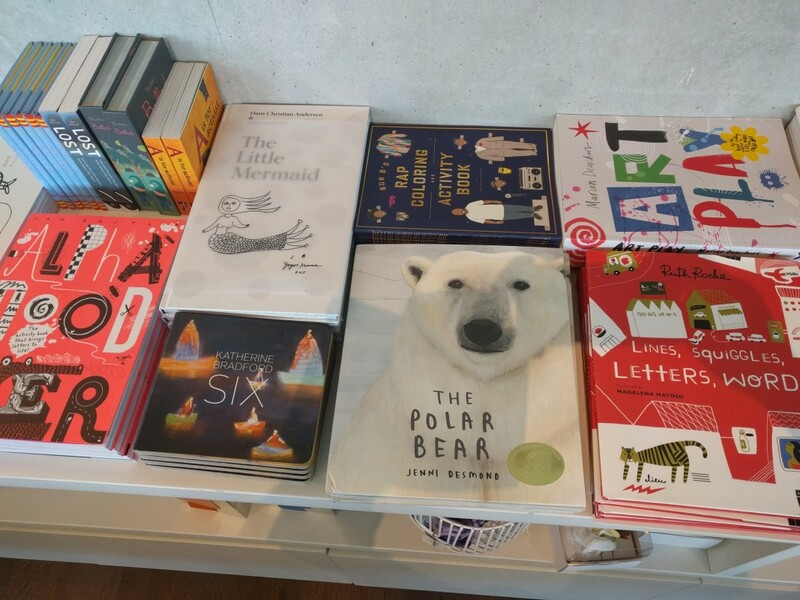 I appreciate both USBBY and the CCBC for supporting international literature in translation and look forward to finding and translating additional books for our youngest readers.